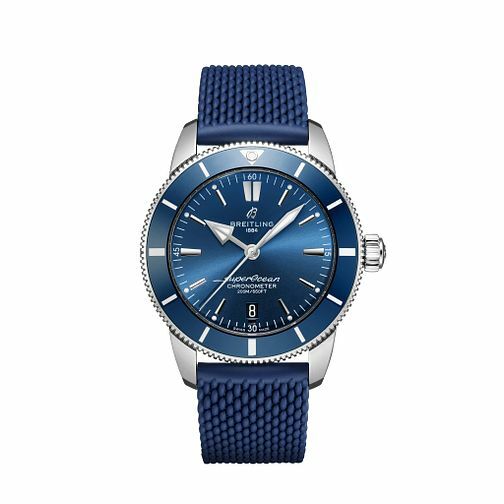 Classy in design, this sleek navy Superocean Heritage II B20 watch by Breitling sports a rich navy dial encapsulating the ocean. A co-ordinating bezel upon a stainless steel case adorns this timepiece, with a ridged mechanical style outline. The slimline hour indices, three hands and case all appear in a smart silver tone, with a rich blue rubber band bringing this watch together.